Born in Bedford 6th March 1979, Monk joined Torquay United as a Junior but switched to Southampton in the final year of his apprenticeship and signed professional for the Saints in 1997. He only made a few appearances at St Mary's, nine starts and two from the bench in the League, one start in the F.A. Cup and one game from the bench in the League Cup in the almost eight years that he stayed there. He had also gained valuable experience while on loan, having started six League games when he returned to Torquay United for a month in late September 1998, then two starts in the League and two more in the League Cup in a one month stay with Stockport County in September 1999. There were five League starts for Oxford United in a month and a half from 9th January 2001, and the fifteen League starts with Sheffield Wednesday in a four month stay from 13th December 2002. He then had a four month stay at Barnsley from 20th November 2003 in which he started thirteen and came off the bench once in League games and score once in four starts in the F.A. Cup. He joined the Tykes on a free transfer on 26th February 2004 but only started one and came on a a substitute twice in League games before he left on a free transfer to Swansea City on 4th June 2004. There had been little in his career to that point that would suggest he would become a fixture for the Swans in the ensuing eleven years, as he took the roller coaster ride with the Welsh club. They had plunged almost to the depths of extinction, after narrowly avoiding relegation from the Football League, by one point, in 2002-03 and had stabilised with a 10th position finish in 2003-04 and had gained promotion in 2004-05 to League One in Monk's first season with the club. In 2005-06, after finishing sixth, Swansea City were beaten by Barnsley at the Millennium Stadium 4�on penalties after both normal time and extra-time finished 2� Monk had emerged as an outstanding figure at the heart of the Swan's defence and was appointed captain after the Millenium defeat, but cruciate ligament damage sidelined him for the majority of the 2006-07 campaign, a season which saw them miss the play-offs by three points, However, 2007-08 saw them champions of League One and so gained promotion to the Championship. 2008-09 again saw consolidation with an eighth place finish and similarly with a seventh place finish in 2009-10. After finishing third in 2010-11, Swansea were promoted via the play-offs after beating Reading in the play-off final and became the first Welsh club ever to play in the Premier League. Monk had been their captain and leader and he remain such as they finished a respectable eleventh in the Premiership in 2011-12 and he was rewarded with a new three-year contract. 2012-13 saw Swansea establish themselves as a Premiership regular with a fine ninth position finish and they also won the Football League Cup with a 5-0 win over Bradford City at Wembley. As injuries and age started to restrict his first team appearances, Monk relinquished the captaincy at the end of that season. He played just once in the 2013-14 season as the Swans finished twelfth and on 4th February 2014 he had taken temporary charge of the club after Michael Laudrup was dismissed with the club just two points out of the relegation spots. He managed to turn their fortunes around with the Swans enjoying a much improved second half of the season and easily avoiding relegation. He remained as temporary player-manager until the end of the season, when he was given a three year contract as permanent manager in May 2014. The new season started with a bang as Swansea topped the table at the end of August, which included an opening day victory over Manchester United, which saw them gain their first ever victory at Old Trafford and Monk was Manager of the month in the Premier League. The season finished with Swansea in eighth position and a record fifty-six points. He was offered another three year deal at the start of the 2015-16 season, which began well, as once again they remained undefeated in the month of August but unfortunately this could not be sustained and the club had slipped to fifteenth by the start of December and this saw Monk relieved of his position on 9th December 2015. His record at Swansea showed twenty-eight wins and seventeen draws in seventy-seven games. His playing record showed three goals in two hundred and seventeen starts and six games as a substitute in the League, one goal in fourteen starts in the F.A. Cup and two goals in thirteen starts and three games from the bench in the League Cup, together with one goal in thirteen starts and one game from the bench in the Johnstone's Paint Trophy and three starts in the League One Play-offs. 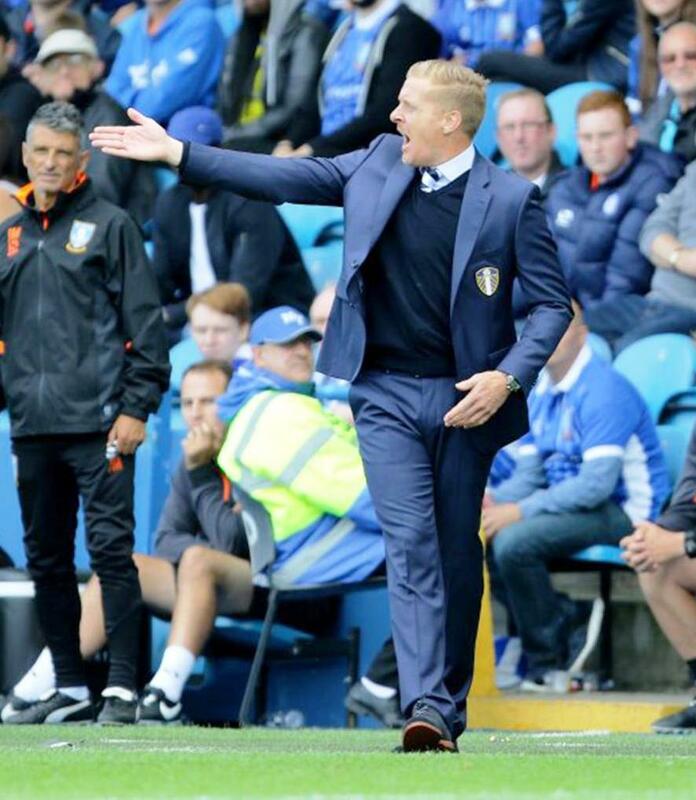 He was appointed Head Coach of Leeds United on 2nd June 2016 on a one year rolling contract. He established the foundations for a good team, building around the Leeds strengths with a strong sprinkling of trusted former players. After a poor start the team rallied and became in contention for the automatic promotion spots for the majority of the season before falling off badly in the final weeks to finally finish seventh, one place away from the play offs. Even though Massimo Cellino had given way to Andrea Radrizzani and had been offered a new three year deal, Monk did not renew his rolling contract and he left the club on 25th May 2017. It came as no surprise when he was appointed as Manager of Middlesbrough, who had just been relegated from the EPL, on 9th June 2016 on a five year contract. Despite spending heavily on several star recruits, he failed to get the right blend from his expensive squad and after winning twelve, drawing five and losing nine of his twenty-six games his contract was terminated on 23rd December 2017. He was not out of work for long before joining relegation threatened Birmingham City on 4th March 2018 on a three and a half year contract. He was able to keep them in the Championship and his record at this point in time is played seventeen, won five, drawn four and lost eight.